i was very different in the recent past. one major change…compassion. i always say how “time flies.” and it does. when i was twenty, i never thought i would be 30. or 35. or 36 (next month). it just never crossed my mind. i figured i’d be in my twenties forever. i never looked into the future with truthful eyes. i was going to be young for the duration of my life. i went about my business as if nothing could harm me or touch me or kill me. I lived behind a very thick smoke screen. i ignored the sadness i recognize today in the world. i paid no attention to the inconceivable. if it didn’t affect me first hand, i didn’t care. and i didn’t care cause i refused to acknowledge anything that my heart couldn’t tolerate with ease. im not proud of that, but it is the truth. and today i speak the truth. sadly, i know now that i was living my life with very little compassion. for myself or for any other living being or species on earth. i didn’t understand that at the time. my eyes really started to open just over a year ago. it started with getting sober. eliminating the heavy drinking from my life. forcing me to face reality head on. all of it. 35 years of dirty build up had to be taken on. challenged. dissected. acknowledged. and dealt with. it took a lot of forgiveness towards myself, and others. it took, and will continue to take, many amends and apologies for my past behavior. and that is okay. it’s all part of the process. and through this process i have found compassion. compassion. a small word with a massive impact on life. :sympathetic consciousness of others’ distress together with a desire to alleviate it. if someone says something unkind to me or is inconsiderate, etc. i am better at not taking it personally than i was before. in the past, i would obsess over what they did or said for hours or days on end. today i can accept, usually, that whatever they did or said to me most likely doesn’t have anything to do with me personally…but rather it is something born from their own issue/s. maybe they are having a bad day. or maybe someone said something that hurt their ego and they are taking it out on me. whatever it might be, i try hard to not take it personally today. instead i’ll have compassion for them and whatever they might be going through. and then i let it go. theoretically. like i said, i am no saint. but most of the time i can act with compassion today. if someone is hurting. i have compassion. if i am hurting, i have compassion. 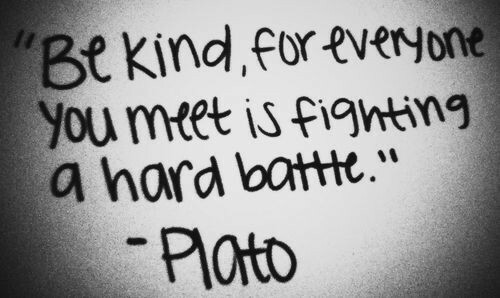 i try to be kind. to you, and to all living species on earth. i feel now. and it is best to feel good about myself, then to feel bad. and i feel good when i live in compassion. compassionate living is something i now strive for. i’ve taken it further than with just humans and human contact. i want to live compassionately towards all living species on earth. as i mentioned earlier in this post, back in my younger years i lived in a thick fog. i refused to recognize the inconceivable that is around me. and there is a lot of it in our world. this includes the cruelty and lack of compassion that is thrown upon the animals on our planet. i chose to bear witness to the truth nearly a year ago, and by doing so, i had no choice but to change my ways. my heart wouldn’t allow me to turn away any longer. and so i became a vegan. i refuse to be a consumer of meat and dairy products, knowing what i know today. this also includes non-food products that are tested on animals. i can no longer take part in any of that. i simply can’t do it. it’s compassion. and i have it today. i suppose i always had it, i just didn’t know to what degree. with the choice of becoming vegan and showing compassion towards all animals, i’ve gotten to know a side of myself that was once hidden. and i like this side a lot. it just feels…right. no, im not perfect at the game of life, but i am certainly better at it today then i was last year and the years prior. i still have many faults. and insecurities. and i make huge mistakes. i still have a dark side i can fall into. i can loose my compassionate side at times. i can take things personally. if i didn’t then i wouldn’t be able to call myself human. but i now recognize these characteristics when they present themselves. i can move past those barriers faster. continuing to better myself in the process. it’s progress not perfection. i’ve visited my darkest demons through this journey. and continue to. and let me tell you, my skin has thickened in the process. my heart has grown. my voice has been found. and my personality has escaped its own personal jail… and continues to make itself known. i am present. finally. sobriety and my truth has brought me far. 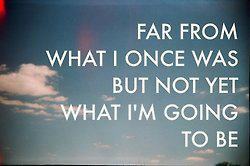 far from what i once was, but not yet what i am going to be. i want a dog. but i can’t have one. now what? i live in an apartment complex that does not allow animals. i love dogs and wish i could have one of my own, but since i can’t, i have found a solution to getting my doggie fix. there is a pet store down the street from me that houses rescue dogs in hopes that they will be adopted into good homes. they DO NOT sell dogs from puppy mills. thank God. i have lived in my neighborhood for 6 years now. (wow time really does have wings!). in that time i have become a trusted neighbor to this pet store. and thus they allow me to walk the rescue dogs whenever i want. not just me, they will allow any trusted neighbor to do so. i love that they allow this. these precious joys need love and attention and walks, like any other animal. and it makes me happy that i can bring a little love into their lives. it saddens me that i can’t take them home, but it warms my heart to spend some time with them. and get to know them. yesterday, i walked a little pup named sweetheart. and boy was she a sweetheart. she was so curious. into everything. looking around, interested in every moving leaf we past. every moving person that walked by. every moving vehicle on the street. she was simply…curious. and she would run around in circles. as if she was over-stimulated by the world around her. so cute. we became fast buddies. i plan on getting in to walk her again in the next few days. part of me hopes she wont be there, because that will mean she was adopted into a good home. but the selfish part of me hopes she will be waiting there for her special walk. here is a montage of a few of the friends i have made at the local pet store. my rescue buddies. check out your local rescue shelters or pet stores that carry rescue dogs. see if they will let you walk the rescues. it is such a rewarding experience. and you are helping the animals in the process. showing them the love they so deserve as they await a permanent home.